When it comes to toll processing, MD Metals, Inc. is the right choice. 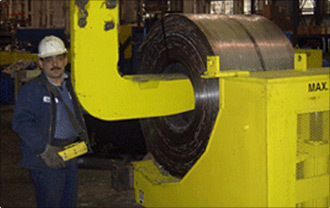 We treat your material and job with the same urgency and importance as our steel sales. All of the unique capabilities of MD Metals are available for your use. We will mic, measure, weigh and tag all your material. You will be sent an in-depth receiver with all the information tested as well as your tag and heat number. Customer material is stored in a designated section of our facility. If needed, we can rockwell or take samples for further metallurgical testing. 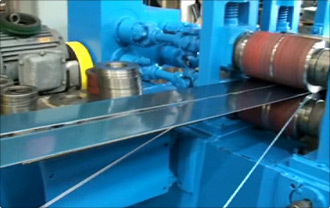 We will assess your material while running and call you if there are any problems or defects in your steel. We cater to the entire steel industry, from large service centers to individual brokers. Toll Processing is very important to us. Our proprietary Steel Plus software provides you with the enhanced material traceability you expect. Call us to discuss how MD Metals can partner with you on your toll processing requirements.